Great drawing requires not only practice, focus, and hand-eye coordination, but the same sort of physical self awareness as playing the violin, or shooting baskets. This course will challenge you to take your drawing to the next level, whatever your current skill and experience. Each class will focus on several, specific, related topics. 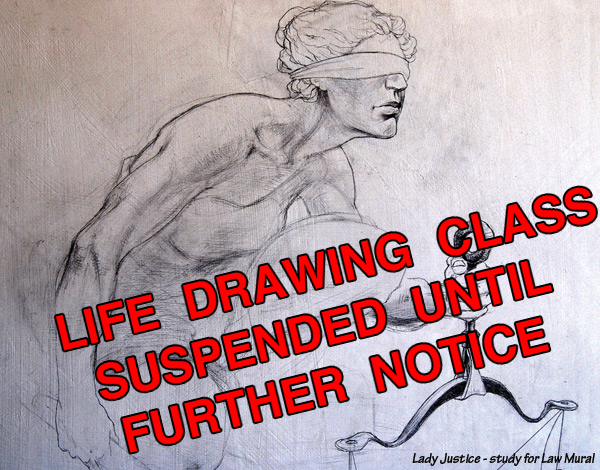 Because of the interrelatedness of the drawing concepts covered, you can expect many of the subjects listed to be talked about in every class, if only briefly. Throughout the course anatomy will be discussed whenever relevant, but will not be the sole focus of any of the classes in this series. Classes will begin with short warm-up poses followed by a lecture demonstration. The last two hours of the evening will typically consist of longer poses. There will be an abundance of one on one instruction tailored to each individual student's needs. For more information call or send an email - contact information is listed at the top of this page. Riverstone Center, 99 Fort Washington Avenue, is a block south of New York Presbyterian Hospital, at 163rd Street. A short walk from the 168th Street station stop on the A, C and 1Train Lines. Copyright © 2010 Anthony Gonzalez.